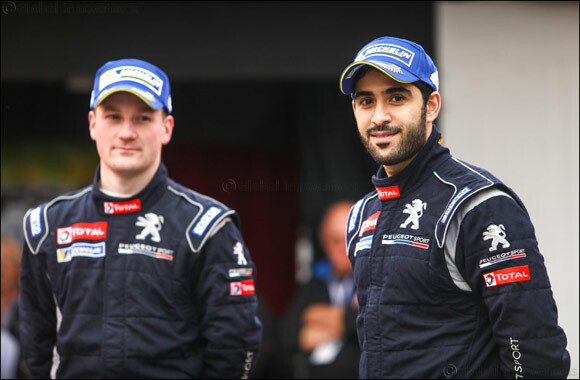 Dubai, UAE, October 20, 2018: Abu Dhabi Racing's Junior Rally Driver Mohamed Al Mutawaa Al Shehhi, finished on the Podium at the 6th Round of the French Peugeot Sport 208 Rallye Cup in Cardabelles, France. The Young Emirati racer has competed in multiple International Championships over the past 10 years, from karting, single seaters, touring cars, GT cars and has now been working to conquer the rallying world. Amongst his many achievements, Mohamed has won the Middle East Rally Championship for juniors and competed in the Junior World Rally Championship and was recently in the top 5 in Rallye Mont Blanc last month. Mohamed Al Mutawaa is looking forward to his next race and won't settle for just a podium finish but will be looking at the top step to achieve a win. Every race he is gaining experience, and this contributes to his journey to achieve the gold, and he is very positive about the upcoming race in one months' time.